Steven C. Wilburn, DMD & the Dental Health Staff | Steven C. Wilburn D.M.D. Helga joined our staff in 2015 and comes to us with a wide range of experience and skills. 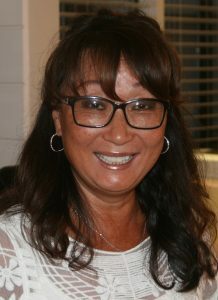 She has been in the dental field since 1993 and her training in dentistry includes graduating from honors at Western Career College and she holds a X-ray license. Her primary responsibilities are front end duties including patient record management, billing and scheduling. Helga is also skilled and trained to work the back end of the office, on occasion, as well. She has a warm smile and shows complete professionalism with both welcoming the new patients and ensuring the existing patients receive the care they need. On a more personal level, Helga has 3 grown children. Two sons (both are in the Air Force) and a daughter. In addition, she has two grandsons who she adores. Both she and Hank (her significant other) enjoy the freedom of now being empty nesters. This allows them more time for traveling and other hobbies such as baking, collecting handbags, and trips to Disneyland with those lucky grandsons. When asked what makes Helga happiest, she was quick to say a quick laugh!! Now, given all Helga’s skills, that’s an added bonus!! We are fortunate to have Helga on staff and we think you will find her, as we do, a delight to work with. Mary Ellen Collins, “M.E.”, was raised in Anchorage, Alaska. She graduated from Idaho State University’s Dental Hygiene Program with a B.S., R.D.H.E.F. degree in l981. While attending school with a full academic course load, M.E. was also a member of the ISU cheerleading squad. Her ability to graduate through a strenuous program while cheerleading is a tribute to her commitment to work hard and succeed. M.E. 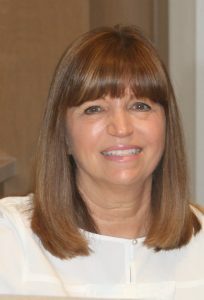 has practiced dental hygiene for 36 years and joined Dr. Wilburn’s dental team in February, 2012. She is very devoted to keeping current on the latest hygiene techniques and studies. She has been a great addition to the staff and is clearly loved by her patients for her enthusiasm and caring approach to her work. Besides being married to her wonderful husband, C.J., M.E. has a beautiful daughter, Jasmine, who resides and works in Corona del Mar. Her hobbies include traveling, playing soccer, cycling and readily admits she is fond of any activities that involve food and wine. She has a large heart and always finds the time to volunteer within the Santa Rosa community and lend a hand to those in need. M.E. loves working and living in the wine country and can’t imagine a better place to live. It is a delight to have M.E. in the office and we are pleased and honored to have her on our staff. Denise was born and raised in Sonoma County. 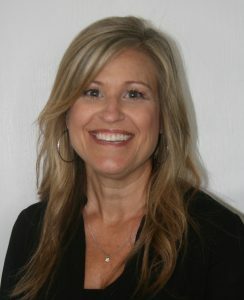 She comes to our office with a well-rounded education in both dental assisting and dental hygiene. 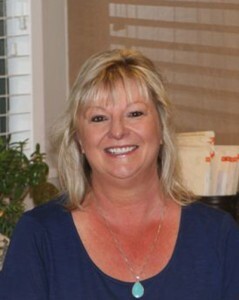 She received her Registered Dental Assisting certificate license from Santa Rosa Junior College in 1992 and completed her Associates of Science Degree in Dental Hygiene in 2002. She continued her education with a Bachelor of Science Degree from Minnesota State University. Denise’s work experience also includes both dental hygiene and dental assisting. She has worked at various local offices as well, and as an adjunct faculty member for 5 years in the Santa Rosa Junior College Dental Hygiene Program, helping teach upcoming dental hygienists. Denise is an active member of California Dental Hygiene Association, the Redwood Empire Dental Society and the California Dental Hygiene Educators Association. She stays up to date with the most current advances in dentistry through continuing education classes. We are so pleased to have Denise join our team!! She is a wonderful addition to our staff! Karre-Ann was born in Petaluma. She attended Santa Rosa Junior College and continued her training at Bryman Dental Assisting School in San Francisco. She received her Registered Dental Assistant license in 1998. She has been at our office RDA since 2003 and on occasion, will help in the front office. As Dr. Wilburn’s assistant, Karre-Ann is more than an extra set of hands…. Her gentle approach to assisting, her equally gentle X-ray technique and her warm personality are sure to make the patients feel at ease in the chair. Her personality is as sparkly as her bright blue eyes and she always turns a trip to the dentist into a pleasant encounter with a friend. Karre-Ann lives in Rohnert Park with her spouse, Felicia Younger, and now lives directly next door to the elementary school she attended as a child! Her love of Sonoma County is indeed evident with her desire to stay so close to her roots!! She is the mother of two children and a proud grandmother. She is sure to make your visit to Dr. Wilburn’s office a pleasant one. We feel very lucky to have Karre-Ann as our main back-office assistant and occasional front desk assistant. Suzanne was born and raised in Healdsburg and began her career as a dental assistant in 1979 with Dr. Tom Conklin (ret.). Later she transitioned to a front office position in 1986 for Dr. Clint Weaver in Santa Rosa. She joined Dr. Wilburn’s team in 2006 and currently works part time in the front office and on occasion will also assist chair-side. Suzanne lives in Cloverdale with her long-time companion Randy and has two grown children and 2 grandchildren. Her hobbies include cooking, reading and gardening. Of course, she also especially enjoys time with her grandchildren . 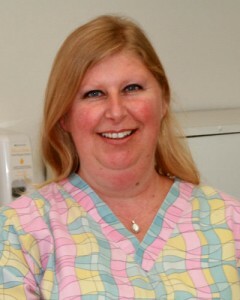 Suzanne has a quick smile and a caring approach while tending to each patient’s needs and requests. Dr. Wilburn has found a wonderful addition to the office staff with Suzanne and we are all so glad she is part of our team! !